Kholat (the link is down at the moment) is a game about wandering around a creepy mountain pass while Sean Bean Sean Beans inside your head. That sounds interesting enough, until you learn the game is based on the mysterious Dyatlov Pass Incident beloved of horror directors and Wikipedia trawlers everywhere. Kholat looks a bit like Dear Esther, and a bit like The Vanishing of Ethan Carter. If you like both or either of those things (you of course like Sean Bean), give the new trailer up there a watch. Kholat is out on June 10th, so incredibly soon. 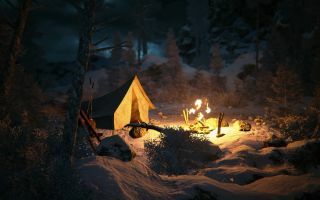 Developers IMGN.PRO describe it as an "exploration adventure game with elements of horror", that asks you to "find out what really happened" to those nine Russian hikers in 1959. Or, to find out what IMGN.PRO think may have happened, anyway.